RemovalsMates provides relocation and removals services in Bromley, BR1. Our movers will help you with everything – packing, loading and transporting of your belongings. Are you considering moving house? You surely need our help then. 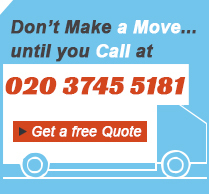 We offer removals services in and out of Bromley, BR1. If you don’t want to waste time packing and sweating over transportation of all that stuff you have, then you will probably come to like our suggestion. We are professional house relocators, available in Bromley, BR1 seven days a week. Call now and book for our great house removals services and we will be on your front door in a short notice. We have a spacious vehicle that can fit large pieces of furniture, electronics and appliances. What’s more, you won’t have to lift a finger, we will do the packing, loading and transporting your stuff for you, no matter how far the new destination is. Call an operator now, and hire us to help you. We are at your service every day of the week. House removals are never easy, especially if you have been living in the property for years. Let us help you with this difficult task and we guarantee that you will be satisfied with our service. We are available every day in Bromley, BR1 and our professionals will come and carefully pack, carry and load your items into a spacious truck. Then, they will be transported to the desired destination and no damages will be caused. All that comes at a cost effective price so call us and we will be on your address in a short notice. Our company has a long list with professional and inexpensive services which you can book any day you like. We even offer removals procedures which have been created for the purpose of assisting our clients and other people living in Bromley, BR1 and the close districts with the transferring of their possessions safely to any address they give us. Our movers are qualified to perform such procedures and they also already have some experience. We can be contacted either with a phone call or with a direct visit from you to our agency’s office. You can choose the option you like more and prepare for your future moving.